We continue to pay homage to this precious product in Catalan lands with another small selection of our favorite rices. As those were not enough, here we leave you with a handful of restaurants where you can enjoy good rice and company. With our passages to the Americas in hand we embark on a journey of no return through this passage to the past called Senyor Parellada. A restaurant interior with more than 150 years of history, it is precisely on these walls that the foundations of traditional Catalan cuisine are based. 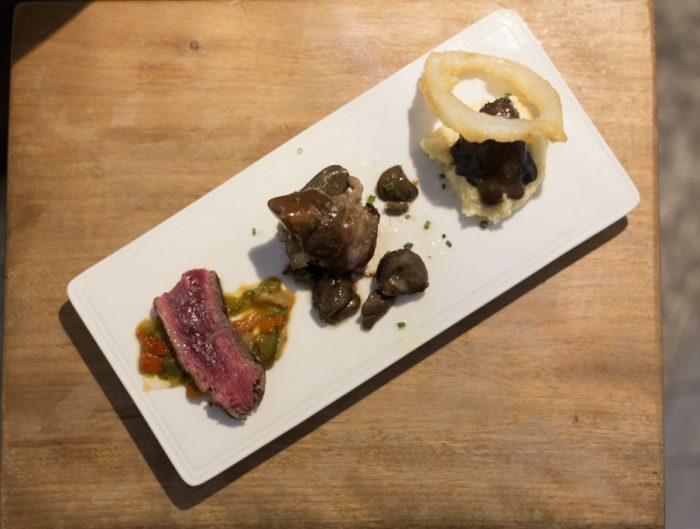 A small family restaurant that honors authentic Catalan cuisine with local products and creations as precious as Parellada Rice. Another piece of history that falls on the stoves of this incessant kitchen and that undoubtedly occupies a favorite place is its rice preferences. 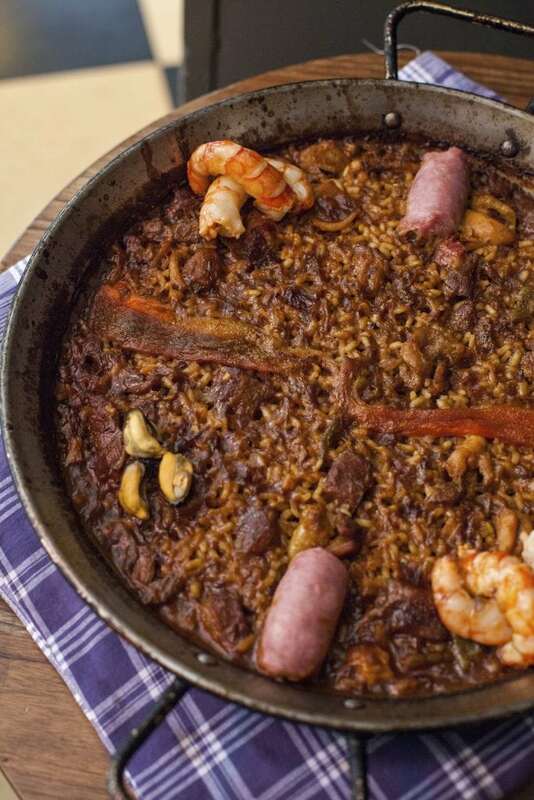 A mixed paella based on seafood and local sausage; in the best gastronomic location where we get soaked in art, culture and a lot of flavor thanks to the well-known arròs sense entrebancs. Welcome to Senyor Parellada! We go back to the time of dynasties, emperors and offerings. 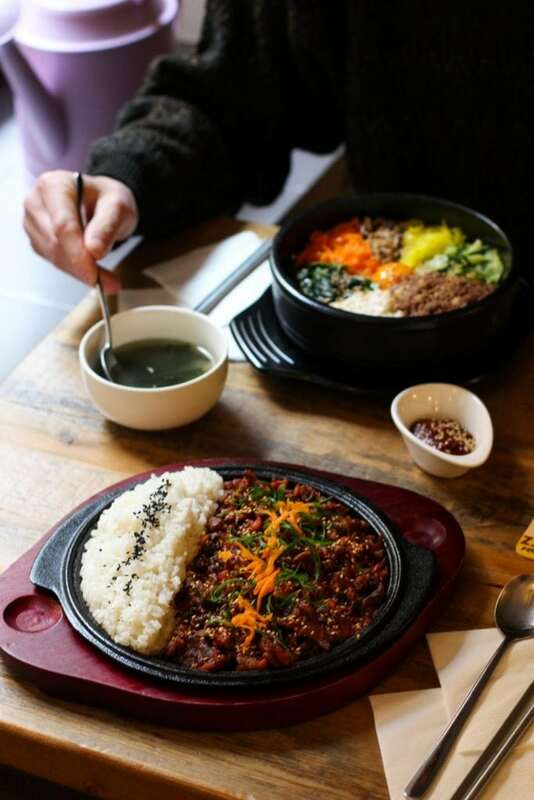 Many legends revolve around the birth of Bimimbap, the Korean dish of excellence, harmony and balanced gastronomy. From ceremonies, in the palace or on the streets of ancestral Korea; This delicious dish arrives in Barcelona. Hidden in Minerva street, among the crowds of an area famous for big business and businessmen, we found this small passageway in the heart of Seoul. You can also enjoy this rice with Jeyuk, which is meat marinated in Gochujang spicy sauce accompanied with rice. Go and lust in a lavish dish. A harmonious refuge where you can discover authentic Korean cuisine. “Churro, mediamanga, mangotero. Guess what I have in the pot! ” Under the motto of this traditional children’s game, the foundations of the second business of this family hotel from the Valle de Arán have settled into the busy Eixample district of Barcelona. 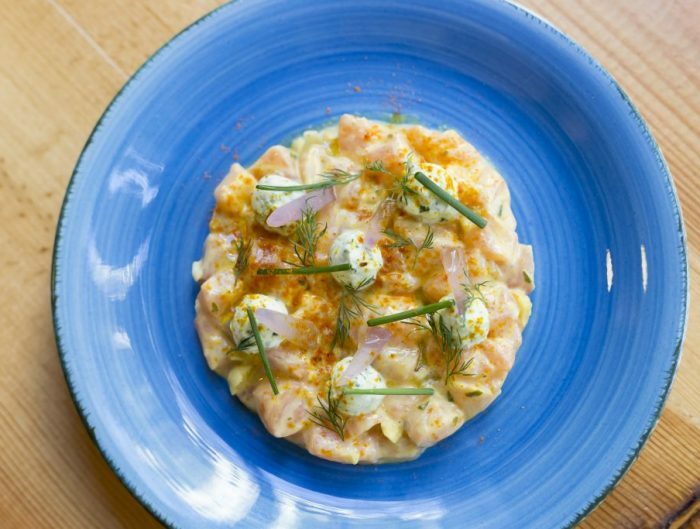 Mediamanga is a new gastronomic concept based on traditional cuisine. In this corner of the Aribau street you can enjoy one of our favorite rices so far, a red shrimp rice that will make you moan with pleasure. 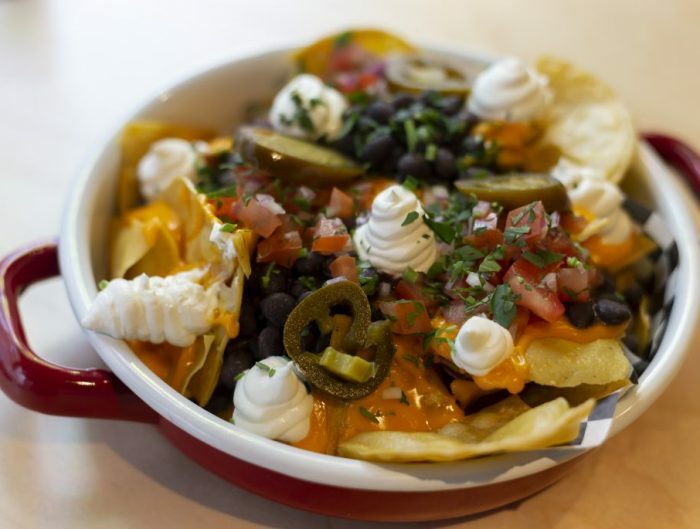 Without a doubt, this dish is a spinoff to be proud of. With more than 40 years of existence, the restaurant Torreón, located a few steps from the beach of Gava, has positioned itself as one of the best Mediterranean restaurants in the area. The specialty of the house is the Levantine rice and noodles, which are continuously coming out of the kitchen once midday hits. 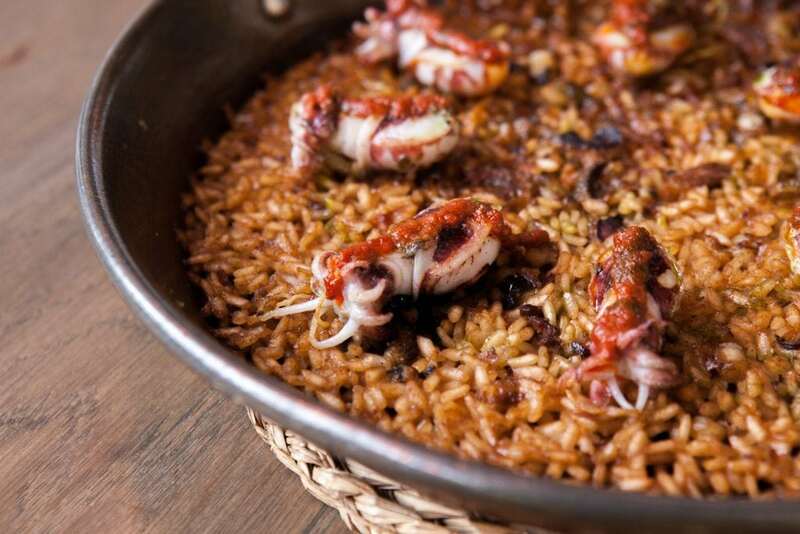 We suggest the arroz a banda with its cauldron of fish and lobster as well as the black rice from Elche with squid and artichokes accompanied by a soft and tasty aoili from the house. This is an idyllic place to enjoy true Levantine rice. At La Barra Carles Abellán , the renowned chef shows us, once again, that his concept of creative and avant-garde tapas has no limits. 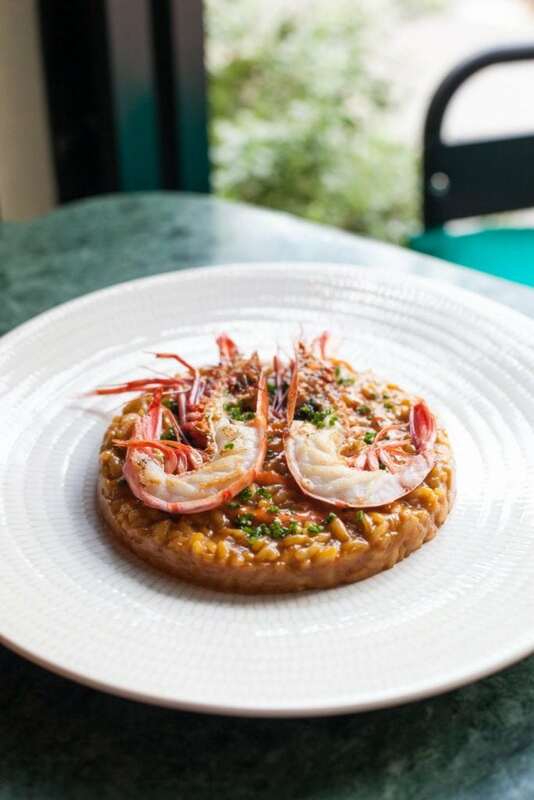 Located in the heart of Passeig de Joan de Borbó in Barceloneta, this restaurant with a sea theme opened its doors a little less than a year ago. 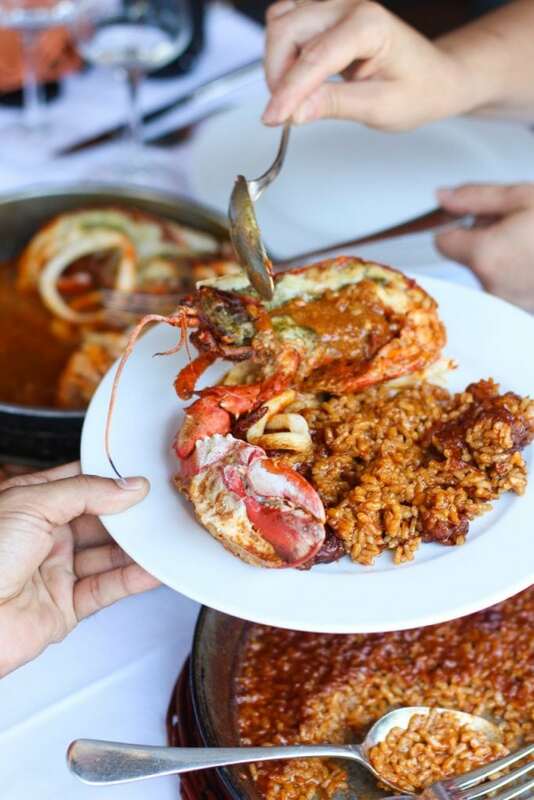 Without a doubt, you can not visit this gastronomic sanctuary without tasting its “La Barra” rice made with cuttlefish, sobrassada and sepieta , one of the must- sees in the “En Alta Mar” section. A must for lovers of good cuisine. 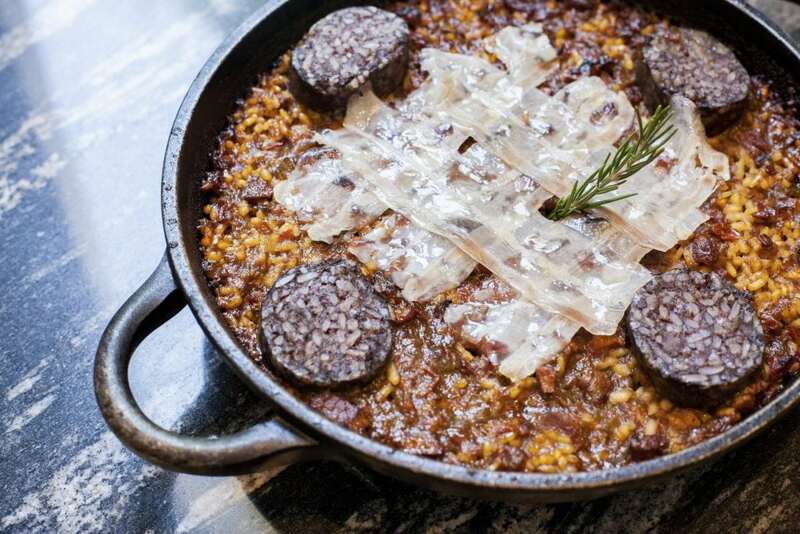 This is the name of the new Mediterranean brasserie installed inside the Almanac Hotel in Barcelona; a real local gastronomic offer that is led by Catalan chef Sergio Ruiz. Here you can enjoy your Iberian rice with Wagyu sausage on the grill. A good dose of flavor where the product is local and quality. A dish that makes us tremble with pleasure, a delicate and harmonious combination that we can not forget every time we visit Sergio’s place. The best of rice in Línia.